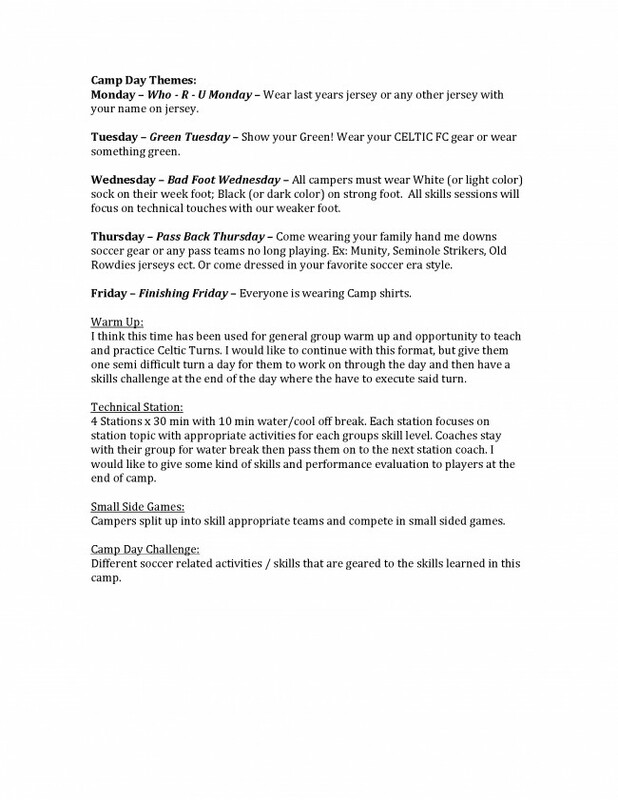 Florida Celtic SC 2015 International Camp with coaches from Scotland begins Monday, July 13th and goes until Friday, July 17th. 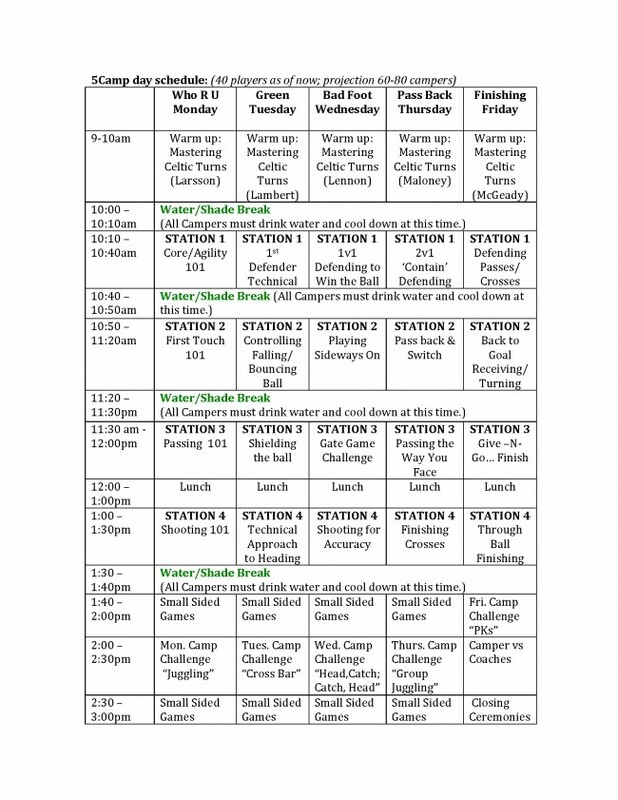 Camp will run daily 9AM-3PM. There will be a sign in and sign out sheet for you to sign your child in an out daily. This will be stationed near the concession stand. Monday- Subway choice of Ham or Turkey 6 inch sub with water or PowerAde and bag of chips. Tuesday- Chick-Fil-A choice of Crispy Chicken sandwich or 8 nuggets with water or PowerAde and fries. Wednesday- Slyce- cheese pizza with water or PowerAde. Thursday- Subway choice of Ham or Turkey 6 inch sub with water or PowerAde and bag of chips. Friday- Chick-Fil-A choice of Crispy Chicken sandwich or 8 nuggets with water or PowerAde and fries. Should you wish to have us pick up and deliver lunch for your camper, you must register and pay using the below link. You will log in through easy registration, select the button next to “Celtic Lunch” on page 2, then select the day’s and lunches you wish to purchase. Finish and pay and we will do the rest. Here is the link. Please keep in mind email is the quickest and easiest way for us to contact all of you in the event of a weather event, or any other circumstance which could result in us asking you to pick your camper up early. Please plan to stay on your email next week. D.O.C. Matt Risley has worked hard with Glasgow Celtic Coaches John Burns and Jonathon McFarland to come up with the most challenging and rewarding camp for our players yet. We expect them to be challenged, and there will be an evaluation that goes home with each camper on Friday. We’re looking forward to a great week!